Although they are slender, inexpensive, and lanky, windshield wipers have an incredibly important job to do. In bad weather, they keep your windshield free of water and snow. On a bad day, joining forces with your wiper fluid, they can eliminate bird droppings and dead bugs from your front window. Since they won’t last forever, it is important that you know the basics of replacing windshield wipers. When should you replace your wipers? How do you know which blades will fit? How do you remove the old wipers and install the new ones? Let’s discuss . . . If you’ve noticed these or other issues, it is likely time to replace your windshield wipers. Be sure that you replace them promptly, because if you wait and find yourself in a rainstorm or blizzard, you could end up stranded. Squinting through a blurry windshield is not safe, so stay off the road if your wipers are not in good condition. To purchase new windshield wipers, you will need to know the exact make, model, and year of your car. Go to an auto shop (or even a Wal-Mart) and use the chart in the wiper aisle to determine which windshield wipers you need. If the store doesn’t have this information available in the aisle, ask a sales associate for help. There will be many options available in the size you need, which you can compare and contrast. A good rule of thumb is to avoid the cheapest blades, because they probably won’t last long. Also, try to replace both blades at once. If you aren’t sure how to remove/replace your windshield wipers, consult your owner’s manual for guidance. Although wipers can be installed in different ways, most modern windshield wipers have a hook-style wiper arm. To replace the blade, lift the arm away from the windshield and pivot the blade. Release the connector (this may be a tab, button, or latch), pull the old blade downward, and remove it from the hook. Then, simply slide your new blade over the metal hook until it clips into place. Gently lower the entire mechanism (if you let it snap, it could break the glass). Be sure that you are placing the right wiper on the right side by comparing the lengths of the old and new wipers. Once your new wipers are in place, clean them regularly to make them last. 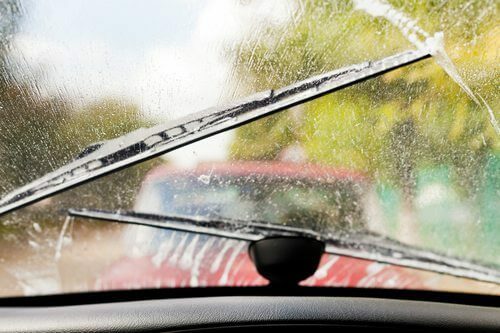 Use a lint-free cloth or paper towel soaked in windshield wiper fluid (or a mild detergent) to clean the rubber blades. While you’re at it, clean the windshield itself. Wash away bugs, road grime, sap, and the buildup of car wash/wax treatments, which can cause wiper streaking. For large-scale buildup, apply a nonabrasive cleanser like Bon Ami with a wet sponge. Use plenty of water to avoid scratching the glass, and flush the surface and body panels completely afterward. If you’ve noticed problems with your wipers’ performance, before replacing windshield wipers, try cleaning them to see if that helps. Sometimes the issue lies in the maintenance of the wipers, not the wipers themselves. Finally, if you’re having trouble replacing windshield wipers, don’t be afraid to contact your auto shop for help. Although this is typically a simple task, it can be tricky if this is your first time or if you have a new car. Instead of jamming in your new wipers, attempting to force them into place, simply give your mechanic a call. 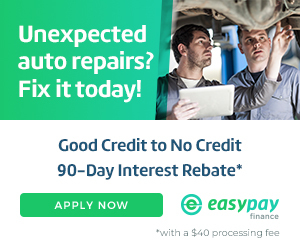 In minutes and at little or no cost, your car will be ready to go. If you’re located in Springfield, Missouri, or northwest Arkansas, contact ASE-certified Seeburg Service Center. Although we specialize in mufflers and exhaust system repairs, we also perform a variety of auto repairs and maintenance, including oil changes, alignments, and brake repairs. Our experienced, knowledgeable, and friendly mechanics will work hard to get you back on the road ASAP. To get started, please contact us online. We look forward to hearing from you!